To deliver qualified B2B sales leads that convert into business, a strong lead nurturing campaign is key. When lead nurturing programs get refreshed on a quarterly basis, the database never has the chance to learn or improve through consistent data collection. It ends up being a waste of time, and a drain on company dollars. Worse, this abbreviated data is providing inaccurate and outdated information, which is resulting in campaigns that just don’t hit the mark. So how do you create a lead nurturing process that combines data with discipline…and how do you steer that to drive sales? Data Profiling –A Better and Easier Way To Do It. For a more streamlined and effective lead nurturing process, we recommend adding a data profiling step. This is particularly relevant to B2B outbound campaigns, but can be used across most lead nurturing efforts. Before you get started with data profiling, there are some crucial steps to take that will go a long way to creating a lead nurturing campaign that really pushes results. Defining the target list for your B2B campaign and acquiring it are the first steps, but you must build with the best materials. That means the list needs to be as accurate as possible in order to guarantee higher response rates at each point of data measurement. Whether you procure a list externally or internally, first consider the source of the data. How old is it? What is the reliability of the source? What are the costs associated with cleaning up the list or choosing the wrong one? Compiled, available lists will often lack the information necessary to moving the customer at the right pace through the right channels. Data profiling helps to flesh out some or all of the missing information, ensuring a smoother and faster process. Frequently, available lists will not have enough information to accelerate movement along the suspect to prospect to customer process. Data profiling is a step that develops at least a portion of the information—thereby shortening the process, saving company money, and creating a more powerful practice of lead nurturing. When you’re confident in your lists’ viability, move forward knowing that you must always be evolving that list. Think of each piece of data as intelligence. The more data points you acquire, the more refined, smart, and accurate your list becomes. Every conversation you have with a prospect can improve the data profile through new information. Each interaction with a prospect should attempt to improve the data profile of the prospect. As that profile evolves and shifts, b2b sales leads become clear as front-runners or as weak prospects, allowing further refinement, minimizing budget spend, and maximizing campaign success. Web Research vs. Outbound Interaction: What builds a better data profile? When you’re deciding to add data profiling to your lead nurturing campaign, you may take the web research approach, using a tool like LinkedIn. This would, for example, capture target information such as workplace, experience, work peers, etc. The downside? The data gathered via web research is limited due to potential inaccuracies, or outdated profile information. Many tools claim to collect Linkedin data; ultimately the data is scraped and not maintained, verified, or tested. That means that often, the data quality of the list suffers. So, whenever using the web research approach for data profiling, consider the reliability of the resource. Another approach to data profiling is implementing a calling campaign. Whether to offer appropriate content, participation in a survey, or an invitation to participate in an event, outbound calls can be incredibly useful. Structured to acquire and compile a great deal of information, prospects will often provide much deeper data and information about company infrastructure, challenges, or decision makers when in conversation with an outbound marketing expert. The results? More precise targeting and an acceleration of the sales process. Create a Brighter Future For Your Lead Nurturing Campaigns. Data profiling optimizes lead nurturing campaigns by accelerating lead qualification and sales processes. It also facilitates an expandable, evolvable system that will create increasingly refined and effective lead nurturing campaigns. With a marketing database that continues to learn and process information, marketers will have the ability to respond quickly to requests about competitors, trends, and product cross-selling. 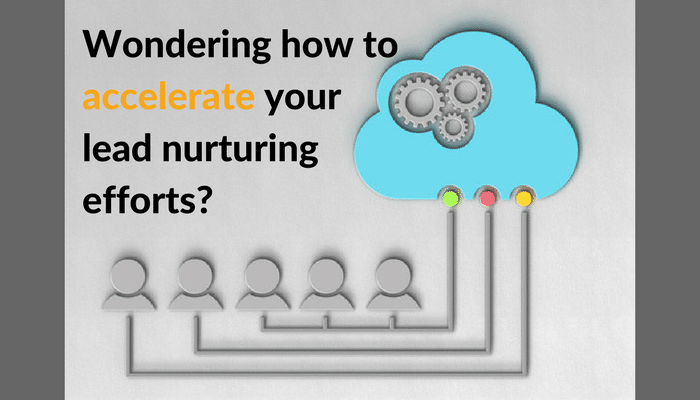 Your lead nurturing program is limited only by the amount of data that you capture. Adding a data profiling step to your lead nurturing process is a smart way to help shape the future of your business…and it starts with the development and maintenance of an intelligent database to improve b2b sales leads. Need a hand with the details of data profiling? Set up a free, no-obligation phone consult with the data profiling and lead nurturing experts at ResponsePoint. DOES YOUR LIST MEASURE UP? How frequent are the updates? Where Does Lead Nurturing Fit in The Sales Funnel?